This is always a contentious topic but I figure with the upscale folks on this BMW forum it won't get to nasty like it does over on the Corvette C7 Z06 forum I hang out on. I used to use Mobil 1 in all my motorcycles but since they changed the additive package years ago I have moved over to motorcycle specific full synthetic oils. Just changed the oil on my 2015 K1300s and used Motul 300V 4T 5W 40. This oil costs me a dollar more a liter than the 5W 40 BMW full synthetic that is recommended by BMW for the K1300s. This is a 100% synthetic ester oil that I have been using in my Triumph Thruxton R and my BMW R1200RTW for the last two years. 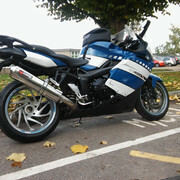 Cant say on the K1300s yet but my other BMW & Triumph shift better using the Motul than the BMW branded oil or the stuff that came in the Triumph. With the Motul I change the oil and filter every 6000 miles or one year whichever comes first and have the oil lab tested. Just wondered what others here prefer. Have always used Shell Rotella T6. Seems too work great for me. Ditto on the Shell Rotella T6 5W40 in my '11 K1300S. It's fairly inexpensive for a Synthetic and its sitting on the shelf at Wal-Mart = not hard to find almost anywhere in the USA. It's MA2 Rated for Motorycles as well. Location: Melbourne Beach, FL U.S. The Motul 300v oil you have chosen is a competition oil developed for track use. Smaller additive package and more frequent changes are ideal. You would be better suited to use a road oil: Motul 7100 Ester 5w40 4-Liter. I too have drunk the koolaid and use Motul products. Even in my WRX. I will have to second the Motul 7100 thought. Although I like the 300V for track use, I would never leave it in the bike for more than 300 miles, you will notice all the little noises get louder quickly. The 7100 will go the 6000 miles no problem, but I change it every 3000 just because. Years ago I used mobil 1 synthetic passenger car oil in my k1200r until I felt the clutch slip at high rpm. I figured the antifriction package was just a little too aggressive. Recently(past 3 years), I've been using redline oils. I'll buy a case whenever it goes on sale for about the price of synthetic mobil 1 motorcycle oil. It is an ester base synthetic. Their racing oil has a robust additive package (no worry about catalytic converters) but with still acceptably low levels of moly for a wet clutch setup. Their motorcycle specific oils are presumably set up as usual to allow longer oil change intervals with a good TBN. I will mix one bottle of racing with two bottles of regular. LOL. yeah, I'm crazy. But, I'm happy. Have not revisited this thread for a while. The Shell Rotella T6 5W40 seems to be a favorite on a lot of motorcycle sites. I quit using Mobil 1 in my motorcycles years ago when they changed the additive package. Still use the Mobil 1 5W30 in my Corvette Z06 though. 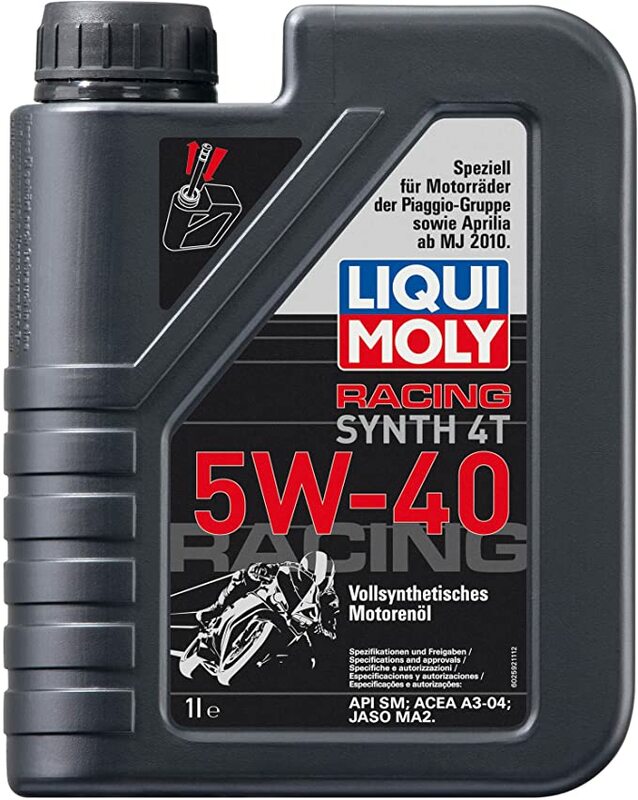 I will stick with the Motul in my bikes though I will take Beech's advice and switch to the 7100 5W40 ester. I have not noticed any difference in engine noise at 3000 mile change intervals but then I am an old guy whose wife complains about my constant HUH's. Still use the Mobil 1 5W30 in my Corvette Z06 though. I used Mobil 1 5W40 in my Wife's '07 VW Passat 2.0T from new to 155k miles (traded in for '15 VW Golf 1.8 TSI SEL). It was good oil and I did 5k mile change intervals. I now use Pentosin Pento High Performance II 5W-40 in our VWs and it meets Audi/Volkswagen 502.00, 505.00, & 505.01 engine oil Spec. I figure German Motor Oil that withstands the rigors of the Autobahn is good. As you say allot of motorcycle forums, and I might add Motorsports Forums in general advocate for Rotella T6. I have to admit the best thing I like about Rotella T6 is it's not too expensive and easy to locate a local seller no matter where you are in the USA. I fed my family for years selling lubes, zillion litres of Mobil 1 ! And I now feed the beast with Shell Rotella T6, it’s 5W40 and JASO M2, and affordable. Proper viscosity, as per the OEM specs, within recommanded change interval, known supplier, correct procedures and quantity, good filter: your’e OK.
brand not relevent. it is a commodity. brand not relevant. it is a commodity. What a motivator, and I might add Job Security, for Major Oil Company Marketing Depts to continually perpetuate their slick Advertising. Before the government decided it was bad for us, many of the drag racers I knew used Shell Rotella due to the high Zinc content that improved high pressure lubrication on the cam and crank. Whatever the BMW dealer puts in during the service. I have been using Pennzoil Ultra Platinum for years in my naturally aspirated and turbo cars. It has a huge effective temperature range and high shear resistance even as temperatures increase. The base is synthesized from natural gas. I have to read my K1300S manual and give Pennzoil a call to see if it’s compatible. If so, that’s what I will be using. It is hard to find and expensive. I have had the best luck ordering online. Not sure if they make a 5 w 40 in this oil ? You are correct. Pennzoil does not make 5W40 in the Ultra Platinum line but they DO have it in the Pennzoil Platinum Euro line. The base stock is still synthesized from natural gas. “BMW now recommends Pennzoil Pure-Plus technology”.....as does Ferrari and Maserati......according to Pennzoil anyway. I am guessing the additives package is different in the Ultra Platinum line vs Euro. Went away from Mobile 1 years ago when they changed formulas.......but it’s now very good again according to tests I have read. Rotella T6 has a cult following (“Brotella”) but that product is different from their formula of 5-6 years ago. It tests mediocre. Skip Royal Purple. Tests better than average but that’s it. Amsoil’s top of the line synthetic tested..... well, tops but they do not pay for the certification tests for the “labels” required for use by some manufacturers.......so I had to stop using them in my new cars for fear of denial of a drivetrain warranty claim. Google search “540ratblog motor oil test” for a very good read. Very good. Anyway. I have not a single complaint about the Pennzoil Ultra Platinum and Platinum lines. I have used them in motorcycles, super-charged wavereunners, boats,a handful of modified Subaru’s, two Mercedes, lawnmowers and snow blowers without complaint. My ML430 has 245,000 miles on it. The engine still runs as new. Don’t get me going on switches and such. Truthfully though......any modern synthetic with a good filter and regular changes should perform well. Some are better than others though. ... ""any modern synthetic with a good filter and regular changes should perform well. Some are better than others though ""
You mention snowblowers ..... My last one I had for 19 years , the last 8 years I never once changed the oil. Only added when needed. Ran like a charm until I sold it. Go figure eh ? If Mogz was here he would know the perfect oil for this situation, fuk'n. Please refer to post #10: JASO MA-2!!!! Well. Crap. That’s been my go to motor oil for years in everything but Motorcycles and I was hoping to start using it in my K1300S. I just got the bike and have not been through the manual yet nor have I talked to Pennzoil. We’ll see. Otherwise, it’s any good synthetic and filter meeting specs and frequent changes. Just spoke to Shell/ Pennzoil technical support people. Briefly, the base stock and additives package for Rotella T6 was changed 4 years ago to become more like Pennzoil’s Ultra Platinum/ Platinum series.....which is to say that they now synthesize the base stock for Rotella out of natural gas as well. The additive package in the Rotella T6 still carries the MA/ MA2 designation while the Pennzoil additives package makes it too “slippery” for use in motorcycle gearboxes and wet clutches. Thanks OILHEAD! So, it appears that I will have to reconsider the “Brotella” T6 for use in the K1300S. Mobile 1 makes a Racing 4T that I have used in the past but it’s 10W40. I have a few months to decide. -9F here today. Sheesh. Just because an oil does not carry an MA-2, doesnt necessarily mean its wet clutch incompatible. If you love it enough, send in a virgin oil analysis and find out yourself.